The virtual world mirrors the ‘real’ world, where women journalists are harassed, excluded and subjected to abuse for their work. Online abuse – a form of gender discrimination and violence against women – must be prevented to enable women to confidently express themselves in the digital space without nasty repercussions. On International Women’s Day, March 8, 2017, the South Asia Media Solidarity Network (SAMSN) and IFJ, representing unions and press freedom organisations, call for strong action to stop cyber-bullying and online harassment of women journalists. Journalists of all genders; their unions; media houses; moderators of social media platforms; the public and governments must take firm steps towards ensuring women’s rightful place in the digital world, without harassment, abuse and cyber-violence. Only then can a diversity of information, analysis and opinion co-exist contribute to building healthy and vibrant democracies in South Asia. 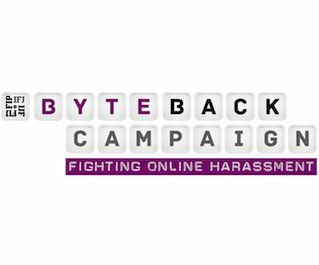 For more detail and to join the IFJ ByteBack Campaign, click here. On March 8, 2015, for International Women’s Day, the International Federation of Journalists (IFJ) Asia-Pacific releases a special series of country reports from across the region, exploring gender equity in the region’s media. On International Women’s Day, the IFJ Asia-Pacific hopes the country reports will encourage much-needed discussion on the vital role media plays in leading and influencing change within its own industry as well as in the representation of women and gender issues. 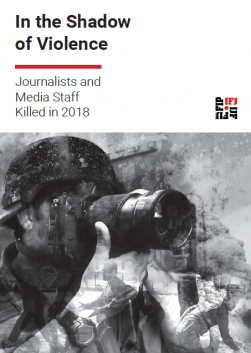 These IFJ ‘media and gender’ country reports detail the experience of journalists at work and in their unions in seven countries across South Asia, South East Asia and the Pacific comprising Cambodia, India, Malaysia, Nepal, Pakistan, Sri Lanka and Vanuatu. While the countries have many commonalities, each country has its own experience and particular issues and areas of concern, some of which are summarised below. In India, the well-established and strong media landscape is full of women journalists. Yet while the advantage of class, caste and higher education has seen some women climb to the top rungs of the profession, the majority of women journalists today are still concentrated on the middle and lower rungs of the profession. Sexual harassment remains a critical issue for the industry. So too, while more men are found in full-time contract roles, large numbers of women in the country are moving or being pushed into freelance roles. In Nepal, the lack of security in women’s employment and poor working conditions has created a sense of fear and instability among women journalists who occupy just a quarter of the media industry. Nevertheless, women are striking out and achieving in areas such as radio and some media unions have taken affirmative actions on women’s representation at decision-making level. There are also strong examples of women’s networks strengthening the capacity of women in media. Pakistan has a vibrant media industry that continues to overcome many obstacles and challenges. But the media and its unions remain extremely male-dominated with women coming up against ‘glass ceilings’ and slowed down by ‘sticky floors’, evidenced in the lack of women in decision-making roles. The country also has one of the worst gender imbalances evidenced in the research in terms of the gender pay gap. Nevertheless, women within the industry are strong and defiant and are regularly challenging this status quo on gender rights issues and sexual harassment with some media companies leading the way on gender approaches and policies. 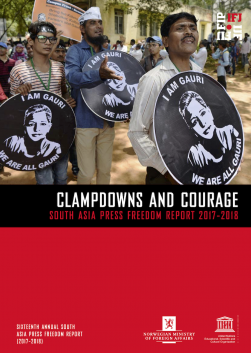 In Sri Lanka, with a media industry plagued with instability and where journalists are regularly threatened, intimidated and often killed, it is little surprise that gender issues and inequities are sidelined over safety. Inherent stereotyping also means women journalists are increasingly pushed to cover ‘soft beats’ such as gender issues, arts and culture. Nevertheless, some media outlets and women journalists in ethnic-minorities in the North are making positive changes for gender equity and blazing a trail for others with programs such as active mentoring. Completed as part of a major regional research study conducted by journalists across the region, supported by UNESCO and UN Women, the country reports were completed by journalists across the region with information derived from a major survey of nearly 700 media workers in the focus countries conducted in August and September 2014. The regional research was commissioned by UNESCO and UNWomen as part of the 20th anniversary of the Fourth World Conference on Women and the landmark Beijing Declaration and Platform for Action, will be released soon. 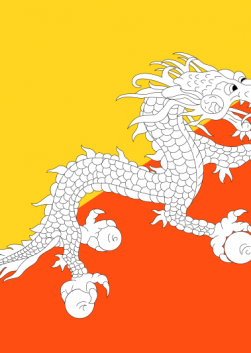 DOWNLOAD THE COUNTRY REPORT FOR SOUTH ASIA HERE: India, Nepal, Pakistan & Sri Lanka.